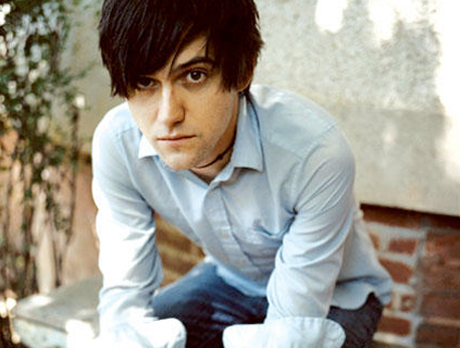 Conor Oberst plays piano in front of the massive, ominously oppressive metal fence on the El Paso, TX side of the U.S.-Mexico border in his new video clip "Coyote Song," but the man also known as Bright Eyes quashes this darkness via the hopeful protest number. Written for the Sound Strike - a collection of artists unified in the boycott of Arizona's SB Bill 1070, which allows police to detain anyone they suspect to be in the country illegally - the airy tunes glides by on nothing more than 88 keys, some spare slide guitar and Oberst's timid tenor. Between its lyrics of "Copper wire sunsets" and a scene where Oberst can't quite make it through the border's gates, "Coyote Song" can be bleak, but there's still a sense of optimism in that one day a change will come. "I'm sending the coyote to bring you back to me," he asserts by song's end.